- European subsidiary MHIAE to acquire a portion of shares in a subsidiary of Form Group, and establish a joint venture in April. - New company aims to greatly expand market share, mainly for building-use multi-air conditioning systems (VRF). TOKYO, Jan 31, 2019 - (JCN Newswire) - Mitsubishi Heavy Industries Thermal Systems, Ltd., a Group company of Mitsubishi Heavy Industries, Ltd. (MHI), has concluded an agreement with the shareholders of Form VRF Sistemleri Sanayi ve Ticaret A.Ş., a Group company of Form Group, having manufacturing and sales and service facilities for heat pumps and air-conditioners in Istanbul, Turkey, to establish a joint venture to provide sales and servicing for air-conditioning and refrigeration systems. The aim of the joint venture is to strengthen the sales network in Turkey through close cooperation between the two corporate groups, and substantially increase their market share in the country, for MHI Thermal Systems' product of split type Residential Air Conditioners (RAC) & Packaged Air Conditioners (PAC), and VRF (Variable Refrigerant Flow) multi-air conditioning systems. The joint venture, which will be called Form MHI Klima Sistemleri Sanayi ve Ticaret A.Ş., is projected to establish in April. 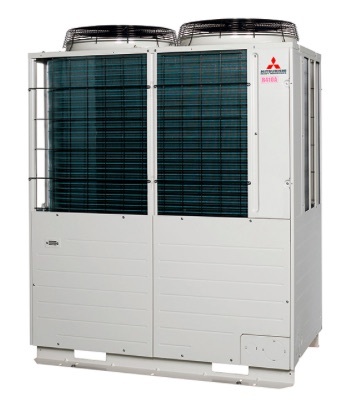 Mitsubishi Heavy Industries Air-Conditioning Europe, Ltd.
(MHIAE), a wholly-owned subsidiary of MHI Thermal Systems that handles sales and servicing of air conditioners and heat pump water heaters in the European market, will acquire a portion of the shares in Form VRF Sistemleri Sanayi ve Ticaret A.Ş., a Form Group company and local agent for MHI Thermal Systems' air conditioners since 2011.